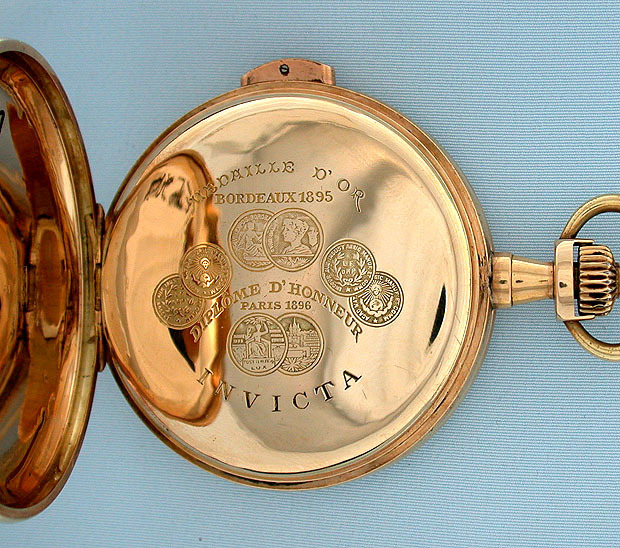 Good Swiss Invicta 14K gold hunting case quarter repeater antique pocket watch circa 1890. 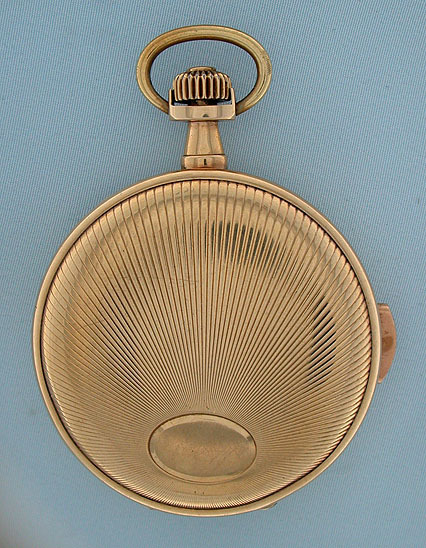 Handsome sunray case (minor dings and light wear) with button in the band to activate the repeat. 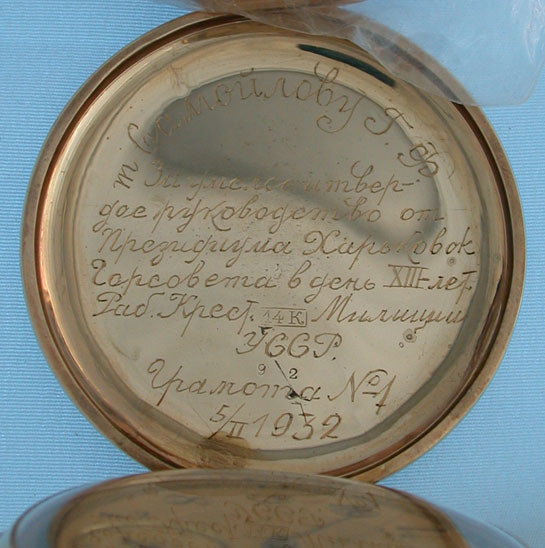 The dust cover with medals won by Invicta. 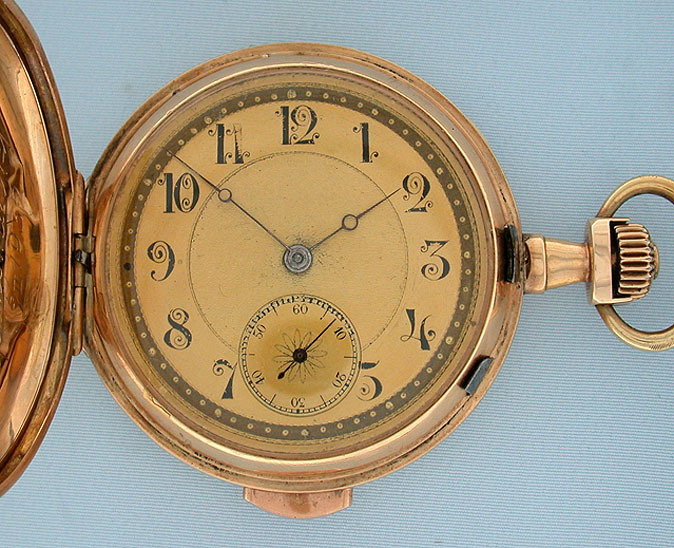 Gold dial (reflection) with fancy arabic numerals and blued steel hands. 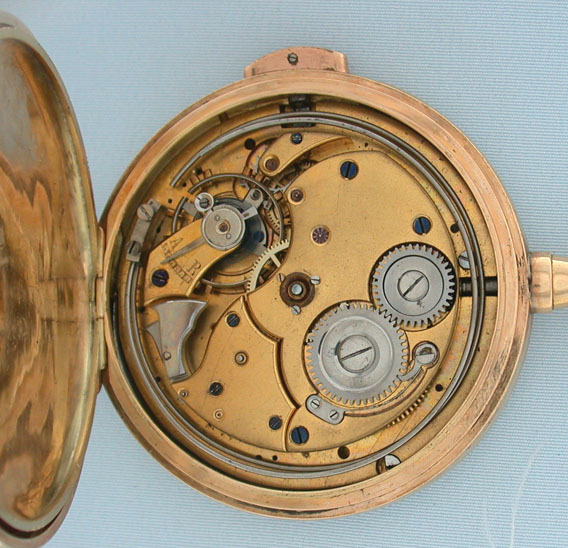 Gilt 15 jewel lever movement. 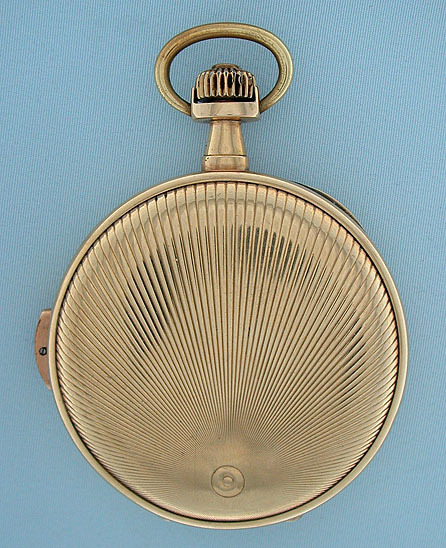 When activated, this watch chimes the time using different chime tones to designate the hours and quarter hours with particularly loud and bright tone.